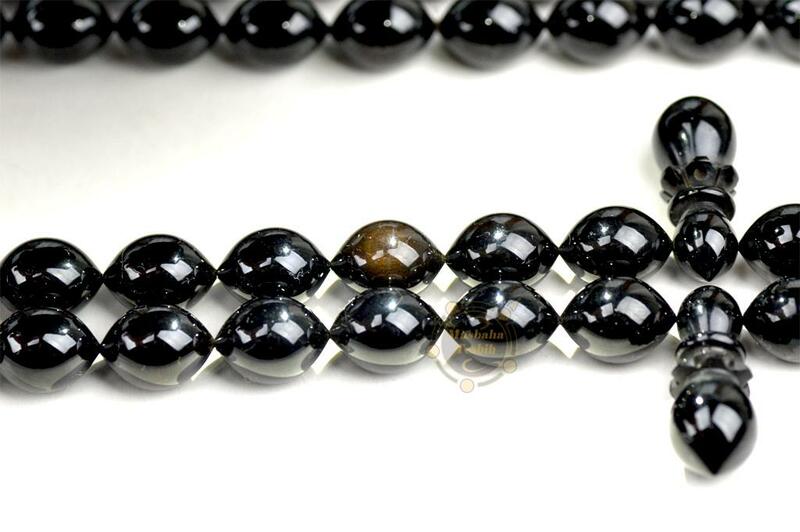 Category: Products, Amber, Jet Stone - Black Amber. 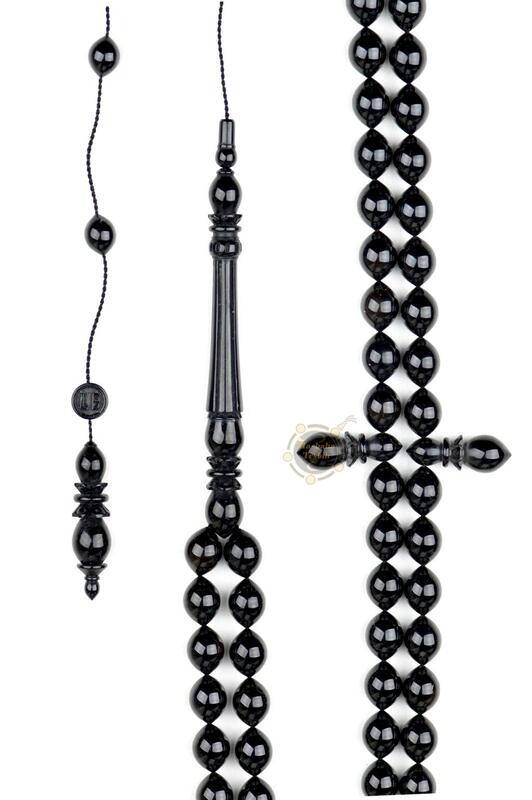 Tags: amber, black amber, jet stone, prayer beads, rosary. 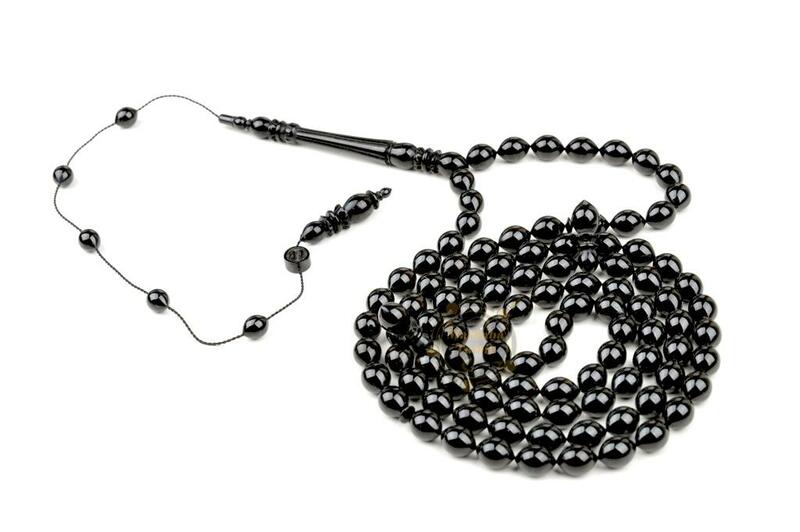 99 Beads of Jet Stone Master Levent Bulbul Collector’s Piece Misbah. Made by Master Levent Bulbul. He is one of the best craftsman. 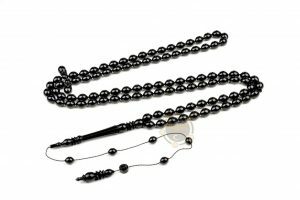 The tasbih is made of jet stone. Material is carefully choosen for the tesbih. You can see quality of material in pictures. It shines in golden brown. Rarely seen color which shows quality. Beads measure 8×11,5 mm. 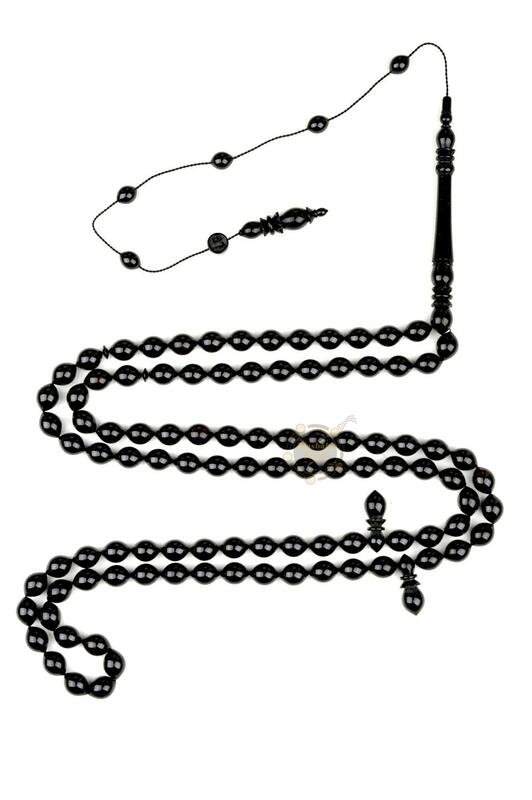 There is extra set includes (imame,tepelik and duraks). Great piece for your collection.